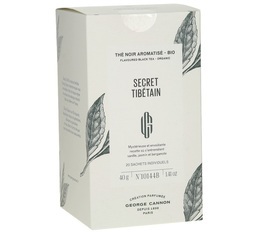 "Secret Tibétain" by George Cannon is a special blend of organic black tea from China with enchanting notes of vanilla, bergamot and jasmine. 1 box of 20 sachets. This box of individual sachets is made of biodegradable cardboard from a sustainably managed European forest in Scandinavia for a reduced carbon footprint. It is printed with 100% vegetal inks. It contains 20 sachets in biodegradable corn paper wrapping. In 1970, André Scala bought the company. In 1978, his son joined him at the helm. 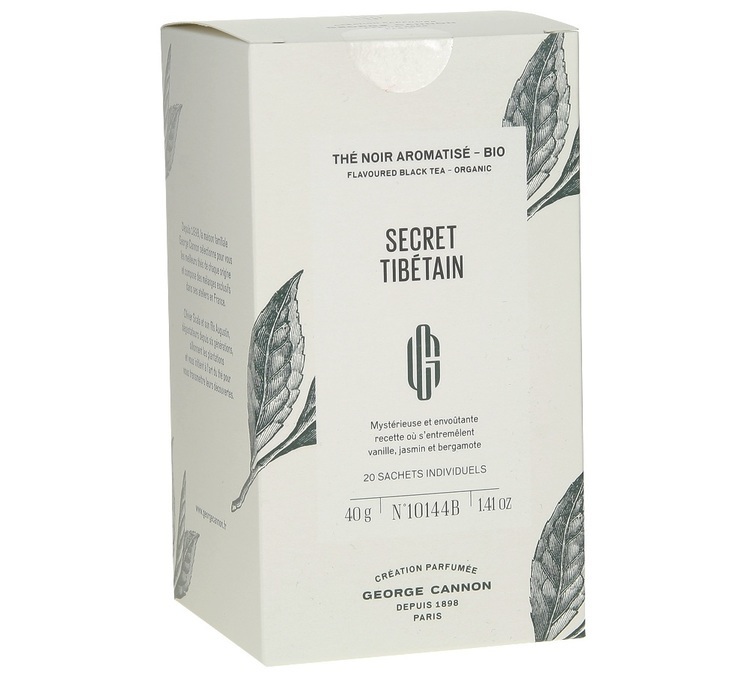 It was his son who quickly realised that further growth of the company could be achieved by venturing into the flavoured teas market, and as a result he persuaded his father to invest in the area. It was the start of a successful era. Unknown to the general public for a long time, the tea house succeeded in developing a unique style and today boasts more than 500 original high quality teas as well as a range of scented teas. A box of 6 sachets (5g) of Fidji iced tea by Dammann Frères. A refreshing blend of green tea, lemon, ginger and lemongrass. Put 1 sachet in 1.5L of cold water, leave in the fridge for 7 to 8 hours and enjoy a beautiful iced tea !